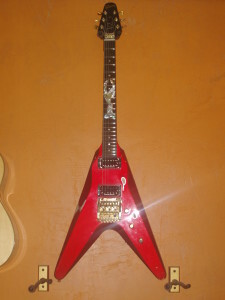 We often have requests to add everything from initials to custom designs onto finger boards of custom built instruments to the occasional flying V. You may have only a general idea or you may know that you want something very specific in your favorite font. 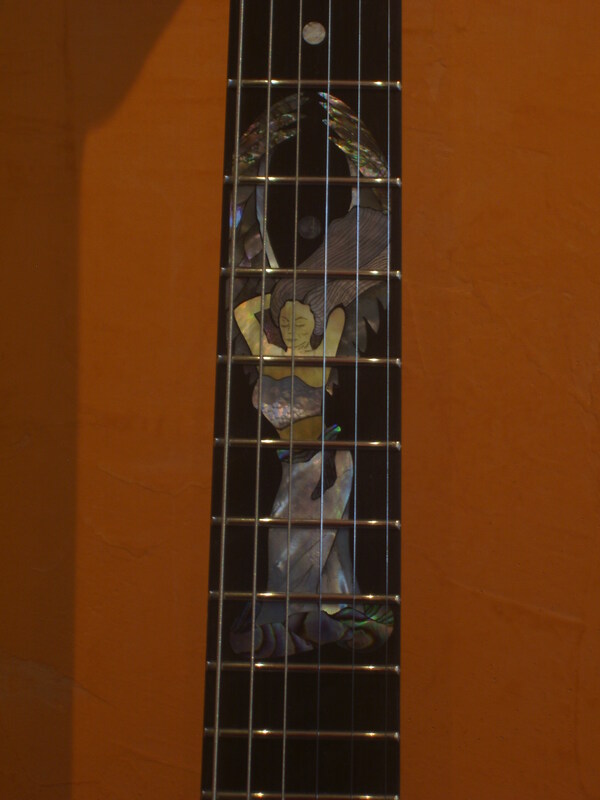 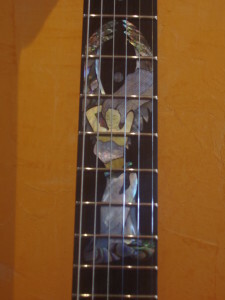 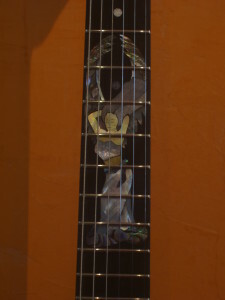 Check out a few of our custom inlays that we have done at our studio. 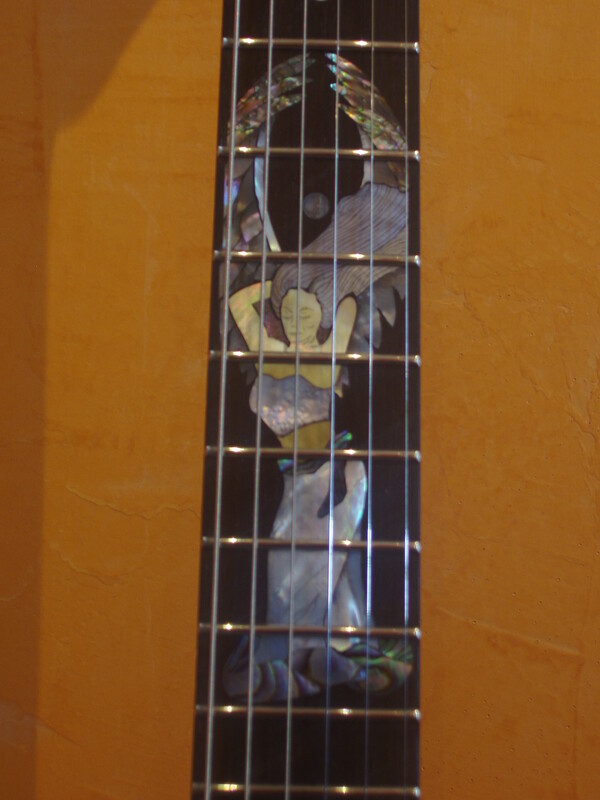 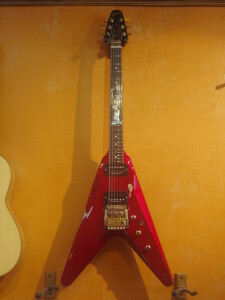 We also offer Custom Shop hand assembled guitars providing you with a variety of options.